I hope your week is going well! Yesterday was a toughie for me. Jonny and I made the (not so) wise decision to take a 6:00 a.m. flight back from D.C. after a long wedding weekend.... never. again! It always sounds like a good idea at the time to save the $35 or whatever, then when you actually get to it, sleep is worth so much more than those few dollars you saved. But, I have to tell you, other than the lack of sleep, it was the most perfect wedding weekend celebrating my sister and her new husband. I was a puddle of happy tears their whole wedding day, it was so incredibly beautiful! I can't wait to share more from her big day with you! We love visiting Vail in the fall, there are always amazing deals all over town because crowds have left from the summer and haven't picked back up yet for ski season. When we visit, Jonny and I always try and stay at The Sebastian Vail. 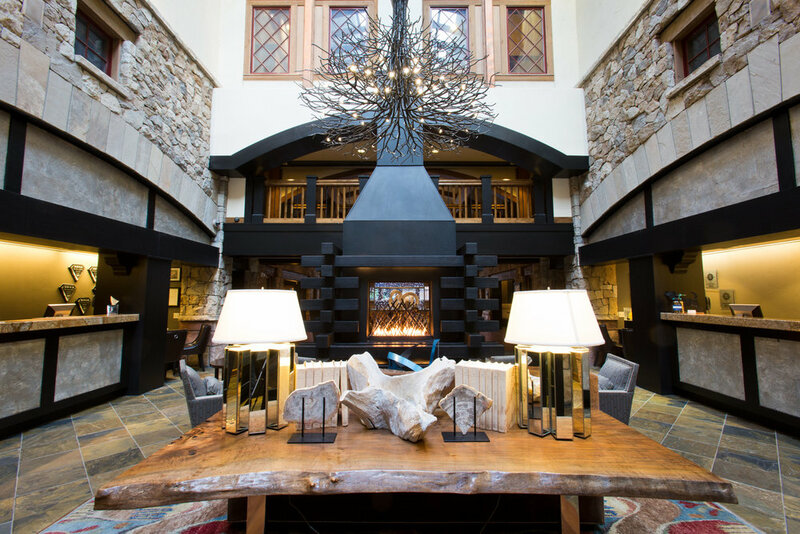 Not only does it hold a special place in our heart because it is where we held our wedding reception, but it is the perfect place to go and getaway from it all and enjoy the quaint town of Vail. Other than the beauty of the hotel itself, what really keeps us coming back is The Sebastian staff. Everyone there makes us feel like old friends - always remember our names, and conversations from months ago, and we feel right at home every time we step into the gorgeous lobby. Also, dog friendly hotels are always a top priority for us, so Mr. Brown doesn't feel left out :)...and the Sebastian welcomes him and every pooch at their hotel with open arms (they have a chalkboard with every pup's name that is staying there). He is always as bummed as we are when it is time to head home. Jonny and I spent most of the weekend relaxing, trying some new restaurants and I got my first bit of exercise since my scooter accident (you'll notice my lovely band-aid in a few pics, my owie is still a bit too scary to make its debut). We took a nice long walk from The Sebastian out to Vail Golf Course where we got married. It was so beautiful - such a perfect weekend! We are already planning our next trip back. So fun collaborating with two companies I adore The Sebastian Vail and Ghurka (also seen here) - we will be doing an awesome giveaway next week! So be sure to check back and on my Instagram (@denver.darling) for details <3. Thanks to David Gillette for the photos - awesome guy and super talented with a camera, I must say! Hit him up if you are in need of a photographer in CO!